Get Unique Holiday Pictures With Horses | Clark County Live! Forget pictures with Santa… this year get your holiday pictures taken with a horse! If you don’t have horses but have always wanted an opportunity to get a photograph with one, here’s an opportunity for you! Join NMP Images WA at SpiritHorse Therapeutic Center of SW Washington (6014 NW 289th St) on Saturday, November 10th for a one of a kind opportunity to get a photo with horses! Get your family holiday cards, senior pictures, or just fun photos with horses. Perfect for the horse lover in your life. 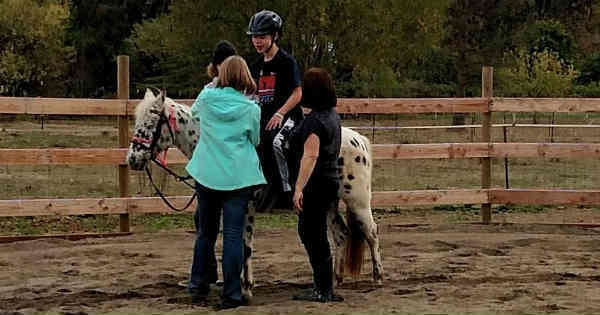 This is a fundraiser event and a suggested donation of $150 will go directly to SpiritHorse to help care for their therapy horses. Each session will be 20 minutes long and you will receive three digital images. The total package value is $200. This event is open to the public, so call or email today to schedule your session! Contact Miranda at 360-551-9046 or [email protected]. For more information about SpiritHorse, visit them online. For more information about NMP Images, visit them online.